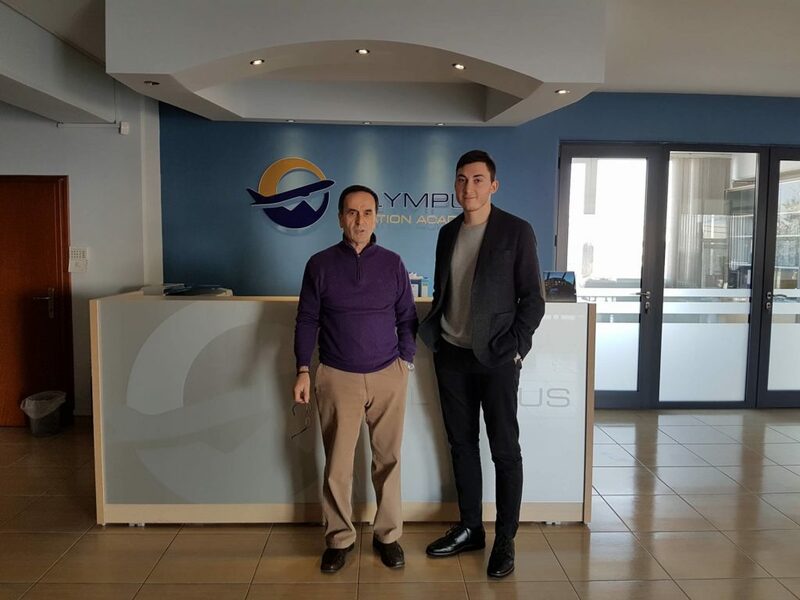 The technology company MOMook, developing management software solutions for aviation training centres, is announcing a service agreement with Olympus Aviation Academy located in Thessaloniki, Greece. A three-year agreement, signed on December 22, 2016, includes the MOMook solution for company’s aircraft booking, document management as well as student evaluation. According to Olympus Aviation Academy CEO Ms. Olympia Giannakidou, the company has been using a very simple and outdated system developed by their flight instructor. “We provide professional pilot training, at all levels – from 0 to ATPL and have three aircraft as well as two FNPT II. Also, as we have a branch in India, we are looking for business growth in the near future, too. That is why we really need a new and modern solution for our aircraft booking and efficient management of the daily operations”, comments Olympus Aviation Academy Owner and Chief Flight Instructor Mr. Stavros Anastasiadis. Ms. Egle Vaitkeviciute, MOMook CEO, responded to Mr. Stavros Anastasiadis by emphasizing that the clients’ goals are expected to grow during 2017 and beyond. According to Ms. Vaitkeviciute, increasing integration of technology is reshaping the aviation training industry by making companies understand the importance of the technologies for its growth. “We are glad that our customers are modernizing the way flight training is organized by using new data management and analytics tools such as aviation training management software. With that in mind, there is a significant effort being invested in flight training in order to run the entire training system in a simple and efficient way”, says Ms. Vaitkeviciute. MOMook software enables to allocate the technical as well as human resources in a simple and fast way. It also allows to organize the main workflow of the FTO: from Ab-Initio training to aircraft maintenance. Furthermore, by using MOMook the whole organization is able to extremely eliminate the manual work and reduce human made errors. MOMook, an intelligent business and training management software, is developed specifically for aviation training centres. MOMook is web-based as well as on-premise software, an accurate, and easy-to-use solution for such issues as scheduling, document tracking, reports, student progress, maintenance, and repair operations, etc. Olympus Aviation Academy is a new flight training school, under the authorization by EASA and HCAA. The company is established by professional pilots from the military Air Force and Civil Aviation industry with thousand hours of flying and great experience in training process and Ground Instructors with proven specialized skills and longtime experience in aviation. The flight school provides professional pilot training, at all levels, from 0 to ATPL (Air Transport Pilot License) and Type rating on A-320 and B737 NG. We are ready to tell you more about the Momook. If you would like to hear more how this solution can empower you to get a 360 degree view of the whole training process, don’t hesitate to contact us. MOMook is an intelligent business management software designed specifically for aviation training centers. This is a smart tool used to organize the entire training system, manage most of your day-to-day issues from one environment. MOMook is information technology company with a team of in-house developers, aviation pioneers, strategic thinkers, and innovators who are passionate about new technologies solutions developed for aviation training centers. Do Smart. Do Simple. Do Grow. MOMook is an intelligent business management software designed specifically for aviation training centers. This is a smart tool used to organize the entire training system, manage most of your day-to-day issues from the one environment. Web-based vs. Desktop Software: Which Is Better?